Super Star Concrete Ltd. is a small business that specializes in concrete projects. Whether you are looking for a driveway or sidewalks, a garage pad or basement flooring, our skilled professionals will ensure the job is done right. Our company has over 10 years experience in the concrete industry and our team of operators are committed to excellence. We are happy to work with you to help get your concrete job done in a timely manner. Add incredible value to your old, worn out concrete. 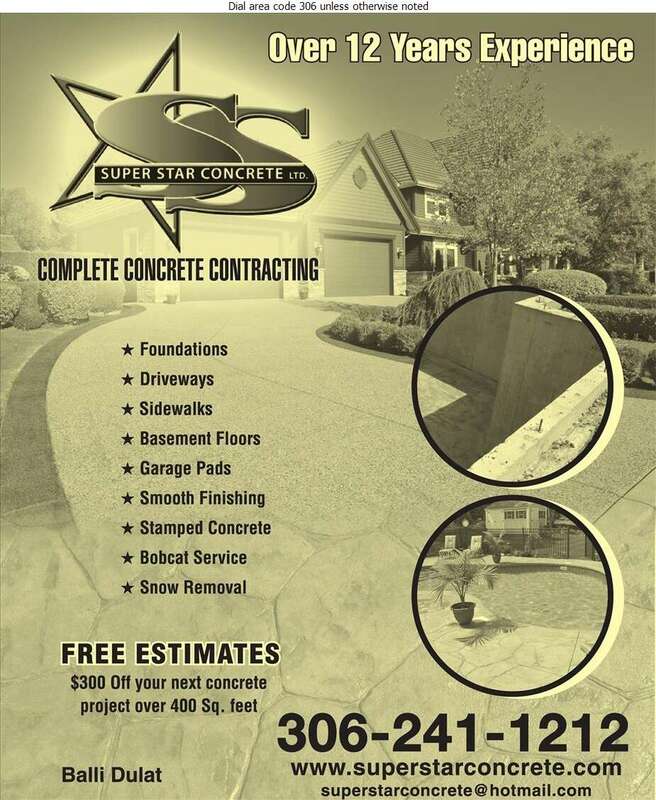 Your basement, driveway, steps, or garage will look amazing after Super Star Concrete provides quality service. Concrete is versatile, preferred for durability, appearance, low maintenance, and indicates quality construction. We offer free estimates, please contact us for yours today!